Hello everybody! It's time for another Facebook Friday! This week, I am focusing on the fun Piece of Cake bundle from the Stampin' Up Occasions Catalog. This punch sold out quickly and it's been out for many weeks. It's on back order until early April, but you CAN order it now. First we're making a card based on a another card sketch. I love to use Card Sketches as inspiration. 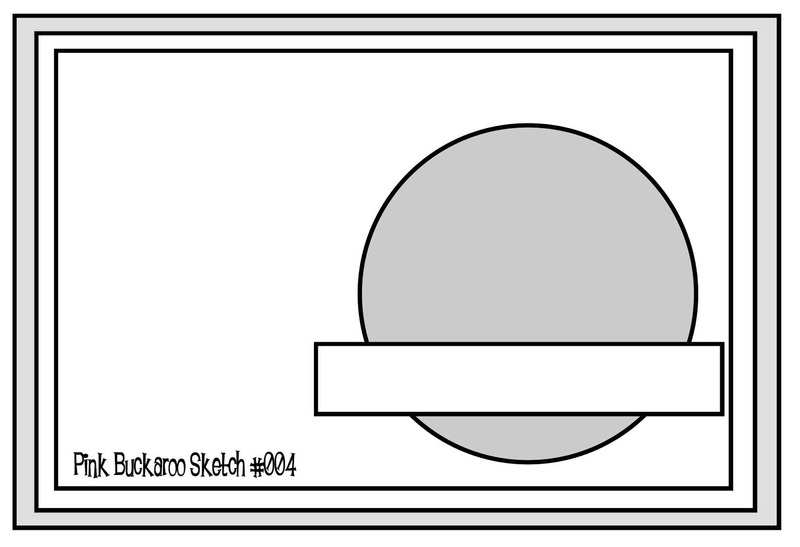 For this card, I used the sketch below as a blueprint, or a map, of where I should put my products. I embossed the cake in White Embossing Powder and colored it with Powder Pink ink. Here is the sketch. It's just a suggestion for how you should layout your pieces. I'd love to see what card you make using the sketch! Next up, we're creating a birthday cake gum holder. You can find these gum packets here on Amazon or in Target. And last, we'll make a party favor fry box also featuring the Petal Promenade DSP, which you can get for free during Sale A Bration. 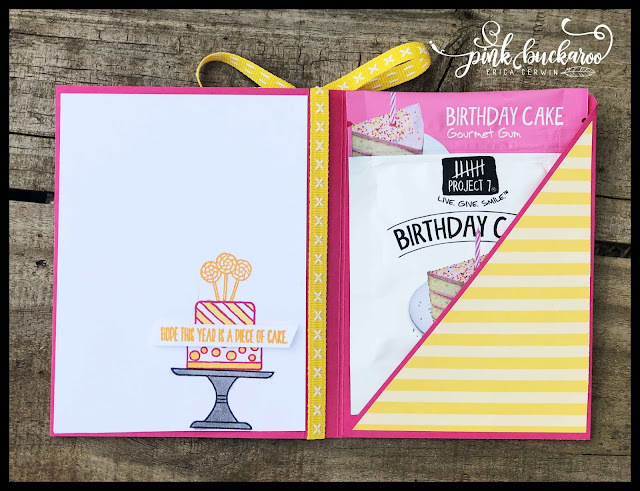 And, in case you missed it, I created this Gift Card Mini Album on Tuesday also featuring the Piece of Cake bundle. Congratulations to the winners from last week's prizes: Anne Ciesielski and Patty Hop who have won the Here Come The Sun bundles. 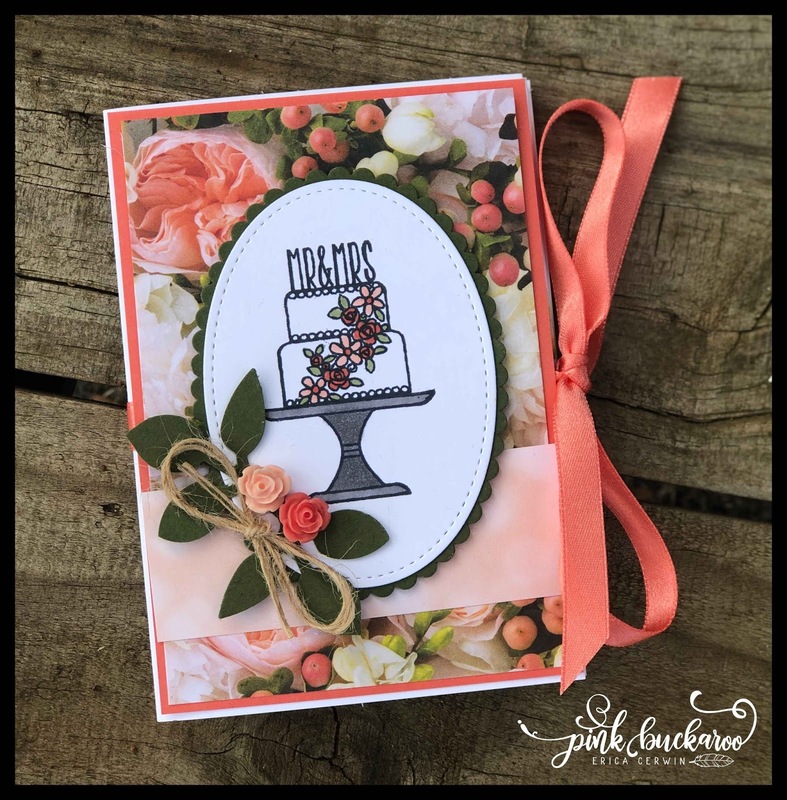 Also, congrats to Joyce Lutterbie who won the Sweetest Thing bundle for sharing Tuesday's video. Congrats ladies! You have two weeks to claim your prizes and I only ship them in the United States. 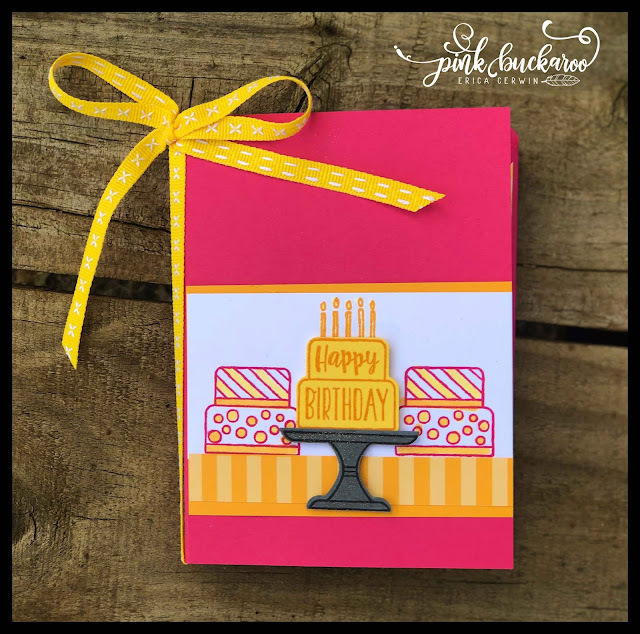 This week, I'm giving away two Itty Bitty Birthday sets each with a pack of Happiness Blooms Enamel Dots. It will close on April 5th. Great Friday live, love all the items you made, my favorite was the fry box and gumball holder. You made it look like a piece of cake, so easy. Thanks for sharing. Hello Cupcake- Four Days Left! So Hoppy Together- Six Days Left!